But! For the past seven years, a breeder in the Netherlands has worked on bringing these little babies back to the global market. This cultivar is first scheduled to be available in the UK very soon. edit: It turns out ligers (and pineberries) ARE real after all! This is amazing! What's next? Unicorns? Boo you people who told me ligers weren't real. I was scarred for years after that. 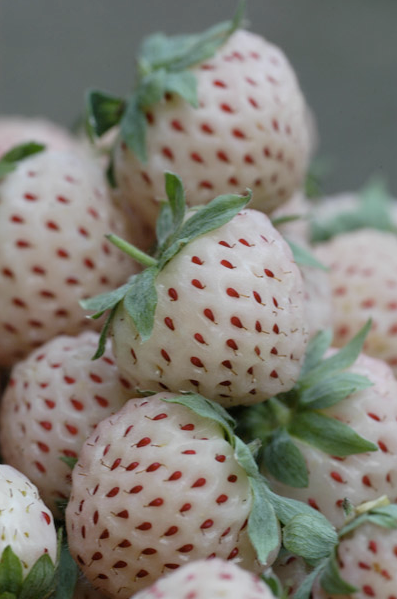 *edit2: There seems to be a lot of conflicting or false information about the origins of this berry, even in professional news media articles--boo to irresponsible/lazy UK journalists who don't have interns to cross check their information. I'm sticking to the supplier's version, even if it conflicts with wiki's version of the story. I've personally contacted the suppliers in Holland and am awaiting their confirmation on the information I've posted. 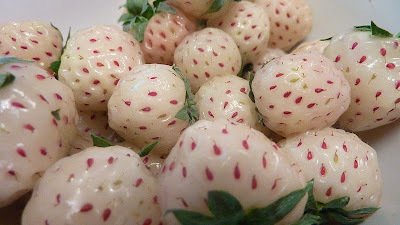 Follow up on the Pineberry. pineberries look awesome. i want to try one. right now. this very second. holy crap, i feel like my life won't be complete until I taste these. wow! I've never seen anything like that! i wish i could get my grubby mitts on some of these, they sound awesome. unfortunately, i've never seen them before and probably never will. I think they're super cool! I've never even *heard* of them, but now I want to try them.